The GE plant, which once employed 3,500 workers, began full operation in 1956. Word that General Electric may close its Salem plant took many people by surprise. In June, GE informed the plant’s hourly employees of tentative plans to end manufacturing operations. If the site is closed, about 265 workers would be affected, with nearly half eligible for retirement, the company said. Employees would receive severance packages, including transition support to new employment, the company said. 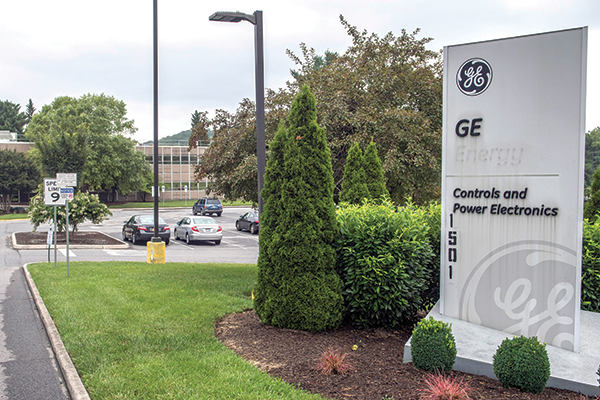 In December, GE announced plans to cut 12,000 jobs in its power business to reduce costs. The company’s tentative plan to shut down the Salem plant is based on the “ongoing challenges in the power industry and a significant decline in orders at this facility,” the company said. The Salem plant, a controls factory that creates cabinetry hardware and circuit boards, began full operation in 1956. The 450,000-square-foot facility had 2,200 employees on its original payroll. Records indicate that employment at the plant reached 3,500 at its peak. If GE decides to go forward with the plant closing, it would likely take place during the next 12 to 24 months. GE will continue to have a presence in the Salem area, “employing more than 200 professionals across our Power, Renewable Energy and Baker Hughes businesses,” the company said. The financial impact on the city will not be “nearly as significant as it would have been 20 or 30 years ago because the plant’s production has been greatly reduced in recent years,” Boggess said.